Dr Leonie Hallo holds a PhD from the University of Adelaide (Gold Star Award), as well as certification in hypnosis and MBTI assessment. She is a Registered Psychologist in South Australia. She is an experienced academic, having supervised almost 30 PhD students across broad domains of human resources and organisational behaviour, especially in organisational change, work commitment, job satisfaction, leadership and management. She has designed and facilitated a wide range of postgraduate courses across the fields of business, psychology, human resources, organisational behaviour and project management. Leonie holds adjunct positions at both the University of South Australia and the University of Adelaide. 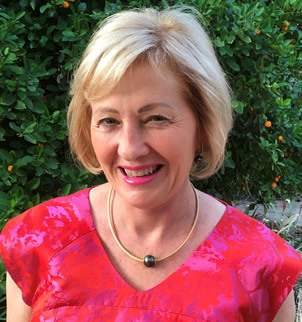 She is Past National President of the Australian Association for Cognitive Behaviour Therapy, a member of the Australian Counselling and Guidance Association and a life member of the International Society for the Study of Work and Organisational Values (ISSWOV). Her consultancy work includes counselling in private practice, especially in the fields of depression and anxiety, post-traumatic stress and coping with cancer for patients and their families. She also consults to management consultancy firms and government in the fields of leadership training and development, assessments of organisational climate, reporting and strategy recommendations, support in redundancy, career guidance and executive development. Another consulting activity involves curriculum development, training and speaking on the topic of leadership and emotional intelligence in Shanghai, China. Her current research interests are around leadership and management in complexity and complex systems, including the role of emotion in leadership decision-making. She is interested in collaborating with leading experts in system of systems to develop governance mechanisms for complex issues in the specific domains of health, infrastructure, disaster recovery and innovation.